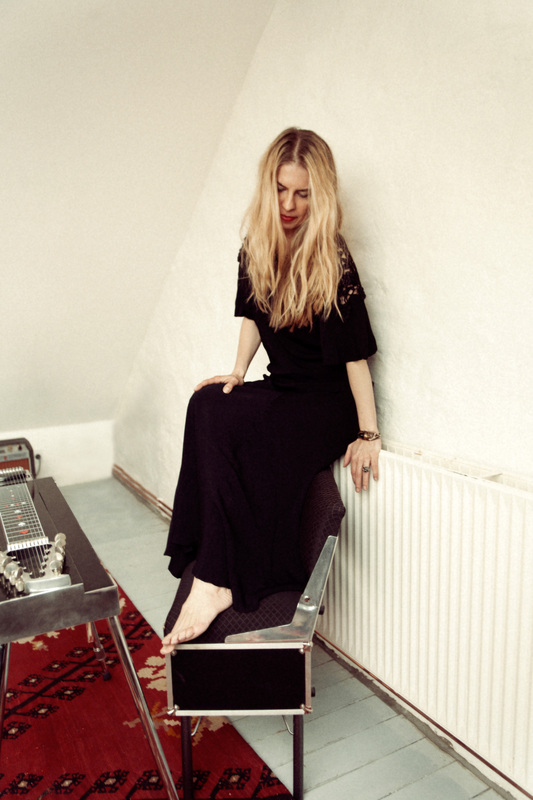 Maggie Bjorklund is the new prophet of pedal steel...a much-needed breath of fresh air for American roots music. Bjorklund is a pedal steel guitarist/singer/composer from Copenhagen, Denmark. She has made a name for herself as an exceptional and stylistically unique musician, combining the tastes and techniques a wide variety of music - country, indie rock, film scores, psychedelia, pop - into a seamless blend of roots music. Over the years she has landed coveted touring gigs with Jack White (and performed on his latest Lazaretto), X’s John Doe and Exene Cervenka, and Howe Gelb, and recruited big names for her debut release Coming Home in 2011: Mark Lanegan, Calexico’s Joey Burns and John Convertino, John Auer (the Posies), to name a few. With the release of her second album Shaken (out on September 29 in Europe and on October 14 in the United States), Bjorklund again puts together an A-plus band, consisting of drummer Convertino, Barb Hunter on cello, Jim Barr (Portishead) on bass, John Parish (noted for his work as a singer/songwriter with PJ Harvey, Sparklehorse) on guitars/electric bass and production, and a featured guest vocal appearance by Kurt Wagner (Lambchop). This time around, the songwriting has a dire purpose and a profound, cathartic inspiration for its timely arrangement. The experience of composing after such a weighty, emotional event surprisingly brought with it a release of creative sparks - like taking a deep breath - and an excitement that she feared was stowed away during the mourning process. Shaken takes its shape from that magic that is created when a group of musicians play together and collectively interpret a singular vision, which in this case, was mending a grieving heart. The individual pieces of the collective jointly forge a sort of rootsy Frankenstein’s monster, stitching appendages together from the aura of Hunter’s cinematic and emotive cello bowing, Convertino’s brush-driven desert noir/jazz-orchestral drumming, Barr’s creeping upright bass lines, and the reverb-through-vintage guitars sound of Parish and Bjorklund. Essences of Broadcast, Portishead, Serge Gainesbourg, and Ennio Morricone can be felt throughout. With the release of her second album Shaken, Bjorklund again puts together an A-plus band, consisting of drummer Convertino, Barb Hunter on cello, Jim Barr (Portishead) on bass, John Parish (noted for his work as a singer/songwriter with PJ Harvey, Sparklehorse) on guitars/electric bass and production, and a featured guest vocal appearance by Kurt Wagner (Lambchop). This time around, the songwriting has a dire purpose and a profound, cathartic inspiration for its timely arrangement. 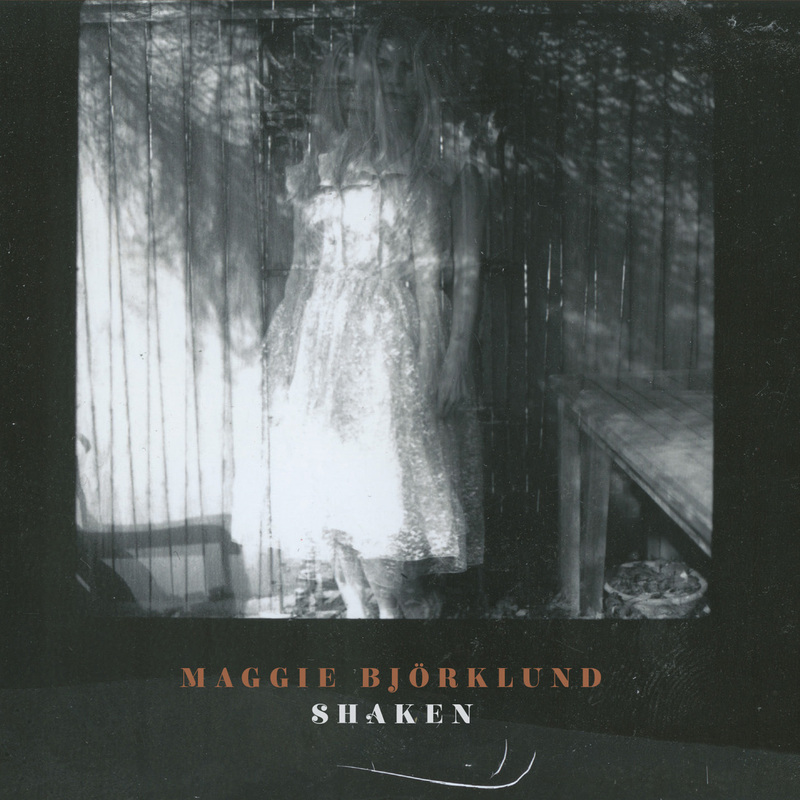 Maggie Bjorklund - Wasteland - Live @ Crackle & Pop!